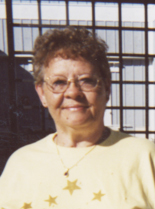 Peggy Sue Rushing Peggy Sue Rushing, 70, passed away Monday, June 11, 2018, at Mercy Medical Center in Des Moines. Peggy was born February 5, 1948 in Elizabethton, Tennessee to James and Gladys Lawson. She loved her family above all else. She loved all her kids as her own children; there were no “steps” in the family. Peggy owned RV Specialist on SE 14th Street in Des Moines for 16 years. She had a strong faith in God and enjoyed reading, traveling in her RV with her husband and dogs, fishing, and crafts. Christmas was a special time for her, watching the grandkids opening their presents. She is survived by her husband, Dean; children, Jim (Tracy) Holland, Lisa Holland, and Sam Holland; step-children, Julie (Charlie) Miller, Rev. Skip Rushing (Jodi), and Jennifer Rushing; 15 grandchildren; 11 great-grandchildren; and her siblings, Dean (Patty) Hatley, Sherry (Jim) Engelbrecht, and Jim Lawson. Peggy was preceded in death by her brother, Terry Lawson and her parents. According to her wishes, cremation has occurred and there will be no services held at this time.